First, I want to tell you this whole batting drills section is full of hitting baseball tips. All the articles listed at the end of this page are shuck full of batting tips. 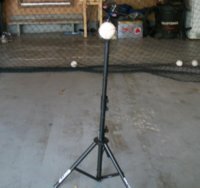 We take hitting a baseball serious here and want to get you every helpful drill or tip we know. If you have already been to a few of the other articles on hitting baseball tips, then you know my favorite hitting drill is hitting off a tee. In fact there is a whole article are on how you can learn to hit an inside pitch practicing off the tee. You can learn to hit an outside pitch hitting off the tee. You can learn the strike zone using the tee. All these tips and more are in the article Batting Tee. Be sure to check out this article. If you are working with young hitters, one of the hitting baseball tips that people forget to look at is the hitters back foot. Young players have a real tendency to point their back foot towards the catcher. It is not usually over exaggerated, otherwise the hitter would probably not be able to swing at all and everyone would notice. No, when the back foot is in the wrong position, it is slightly pointing towards the catcher. You have to look closely to see it, because it doesn’t take too much to really affect the swing. Stand up and point your back foot slightly towards the back and then take an air swing. Do you see how hard it is to get those hips rotating and producing any power that way? That back foot has got to be lined up straight towards the plate. In fact both feet should be lined up parallel and pointing straight towards home plate. Anything different from this will leave the hitter in a poor hitting position. Throughout the swing the back foot will stay planted, and the front foot will stride forward. Teach your young hitters to approach the plate and get their feet set before preparing to hit. You may need to teach them to ask the umpire for time to get lined up. If they will just raise their back hand to the umpire he should grant them time to get set. Proper foot placement is worth going over in practice a few times each spring until the boys get a little older. 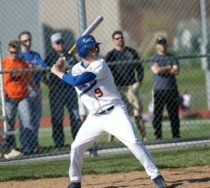 If you would like to read and learn more about a good batting stance then check out these 2 articles, Mechancis of Hitting a Baseball and Batting Techniques. Both articles have great hitting baseball tips. Mechanics of hitting a baseball breaks down the batting stance from head to toes. And Batting Techniques gives you other batting stance options to tryout. You never know when you are going to come up with some of your own hitting baseball tips. Sometimes desperation pushes you to results. This story is about my youngest son when he was nine. He started the new baseball season hitting the cover off the baseball. We had been going to the batting cages about once a week for a couple of months and it was paying off. Hitting Slump - What To Do? About a third of the way through the season he started to tale off a little in hitting. So he and I started taking extra soft toss at home and revisiting the batting cages a couple of times a week. But his hitting just kept falling off. And the more it fell off, the harder he continued to work. And I was racking my brain trying to see what was wrong with his swing. This slump was starting to really bother him. It was getting so bad we had to drop him in the batting lineup. Finally, I told my wife to go have his eyes checked. And would you believe his vision was 20/100. He got some glasses and started pounding the ball again. And here is the next part of the story. Half the dads on the team took their sons for eye examines right after that. They were all hoping for the same results. But such luck. Over the years I told this story a lot and then I forgot about it. 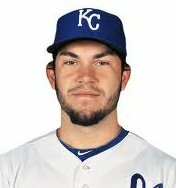 But just a few years ago the Kansas City Royals drafted Eric Hosmer with their first pick in the major league baseball draft. Eric’s first year of minor league baseball was very good and everyone had high hopes for Eric. And then in Eric’s second minor league season his hitting fell way off. The coaches worked overtime with him and took videos trying to find his flaw. Guess what? He had bad eye site, then had Lasik Surgery and two years later was playing in the big leagues. Hitting baseball tips work for everyone.